Did you know that the OHS Act (Act 85:1993) makes it illegal not to have emergency lighting and requires testing, at least every three months, of all emergency lighting? Did you know that the VC 8055 states that it is illegal to use emergency lighting that does not comply with SANS 1464:22? How can you possibly test every emergency light without seriously disrupting your business? 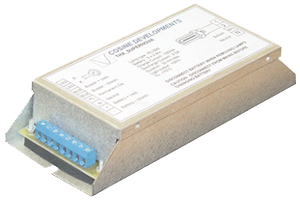 Answer: COSINE DEVELOPMENTS Self-testing Emergency Lighting Systems. Designed specifically for South African conditions (i.e., tough and simple to use), a built-in computer chip automatically conducts regular tests and reports faults, if any, thereby saving hours of unnecessary maintenance. Our products have proven their effectiveness after successful installation of many thousands of units over many years. COSINE DEVELOPMENTS have the widest range of self-testing emergency lighting products designed specifically to satisfy the new SABS specification (SANS 62034:2006). Self-testing Emergency Lighting Systems can be fitted into most fluorescent lamp or LED luminaires in partnership with almost any ballast type to satisfy SANS 1464:22. 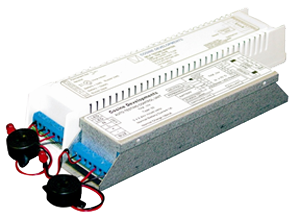 Emergency light outputs can be factory set from 20% to 100%. Our Self-testing Emergency Lighting Systems exercise the batteries and establish lamp conditions on a regular basis. 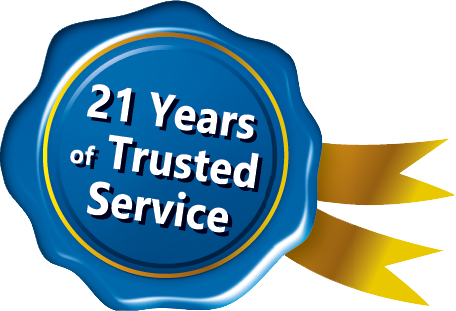 Automatic tests are conducted on a monthly basis with full functional tests every 6 months. The monthly tests, of a two minute duration, establish battery and lamp conditions. There is another test that is performed every 6 months that last for 40 minutes in order to remove battery memory effects. System faults are reported via both audible and visual means. The COSINE DEVELOPMENTS Self-Testing Emergency Lighting Gear offer the most cost effective method of establishing system preparedness. Only our Smart Product Range offers an easier option for system monitoring.